WELCOME TO THE START OF A SERIES CALLED TIPS & SNIPS. The first part of my upcoming blogs will include tips and stuff I would’ve personally loved to know when I was in high school and the second part of my upcoming blogs will focus on snippets of my life right now. This week and last week I’ve had three mid-term tests thrown at me from all directions! This past fortnight, those doing biomed have been living in constant dread and those doing health sci just want to cry. Today…I will be answering one of the most philosophical questions ever asked: BIOMED OR HEALTH SCI? *By the way, all the papers in each course listed above are for those intending to apply for medicine, pharmacy or optometry. If you want to do a BSc majoring in Biomed or BHSc with no intention to apply for any of these, then there is much more flexibility in choosing your papers. What the heck is a Gen-Ed? A gen-ed is a paper that gives you the opportunity to learn something new outside of the field you are studying. The range of Gen-eds are so diverse – from arts to commerce to law to languages! For both biomed and health sci, you can choose a gen-ed from here or here. What makes both Biomed and Healthsci pretty interesting is that not only can they lead to their respective degrees but they also open up heaps of other pathways! 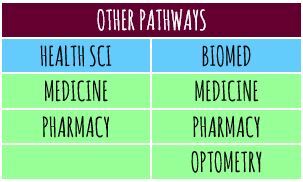 Both can lead to medicine or pharmacy, but only biomed can lead to optometry. For pharmacy, you can also apply after doing a first year BSc in other majors like Medicinal Chemistry, Food Science, Nutrition and Pharmacology. What if I don’t wanna apply for Med/Pharm/Optom? I understand that not everyone is doing biomed or health sci as a pathway to something else. While the first years of both courses are very similar, it is the next two years where you really get to really differentiate. Health Science becomes more focused on population health whereas Biomed is more focused on medical-based science. You can always do biomed or health sci first year and switch to the other (or many other BSc majors!) in the second year by cross crediting your papers, so nothing you have completed is a waste of time! The great thing about Uni is how flexible it is. SO…WHY DID I DO BIOMED? Still not sure? Just apply for both Health Science and Biomed because when University offers roll round in January next year, you may have changed your mind. You can apply here! I’ll keep this fortnight’s snips short and sweet because my blog ended up being super duper loooong. 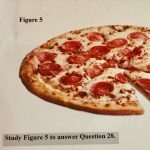 “Study Figure 5 to answer Question” – This was actually in our test. No joke. Have any burning questions? Leave a comment 🙂 Happy decision making! Hello. Is it really alright to apply both in bio med and health sciences at the same time? Hi there, I’m currently year 12 and I wanna be a doctor, more specifically a gp. I take bio, chem, phys, eng, and stats. What courses should I take in uni to become a doctor? The health sci and biomed stuff confuse me :’) Plus idk what courses to take after the first year. Hey there, first of all thankyou for being such a help to everyone! I just wanted to know what other career options there are in biomed if I do not wish to do pharmacy nursing or med school etc. Just as a look into it as fall back options maybe? Hi! Im just wondering is it a 100% guarantee that ill get into biomed if i just pass the 280 points? BIOSCI107 is all new stuff. In fact whether you took biology at all, won’t even make a difference! it’s about human and developmental biology which we’ve never really covered in high school at all so don’t stress 🙂 much better to take a subject you enjoy! Also level 2 bio is pretty much sufficient to help you with BIOSCI101. Are you planning to do healthsci as a pathway for med or pharm? Because if you are not, you don’t actually have to take CHEM110 for health science. But assuming you are, since you are considering biomed too, then CHEM110 is a core paper for both healthsci and biomed first year. CHEM110 is mostly new chem content for NCEA students…a background in acid/base chemistry and organic chemistry from NCEA was definitely very helpful though! 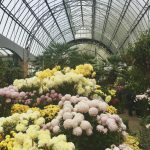 Hi there, Im currently a year 12 student who is much more interested in the lab work and doing Biomed than the population studies for health science. I want to get into medicine but I am very poor at physics and have only achieved level 2. Will doing Biomed and getting poor results in the physics paper affect my chances on getting into medicine? Hey Ash! Healthsci and biomed as a first-year pathway to medicine are very similar (both have to do BIOSCI107, CHEM110, POPHLTH111, MEDSCI142 & a GENED of your choice). The only difference is the three non-core papers between each pathway. PHYS160 is a non-core biomed paper. You still have a whole year ahead of you to find out what works for you! I only figured out what study methods worked for me around the end of this semester 😛 Good luck for your exams!!! Hi! so you would just have to choose the core papers that are required, and the other four papers you can choose whatever you like? so you dont have to choose the physics paper and can swap it with something else? Also, do you know if there is any way I could get in to biomed if i didnt quite make the rank score? Could you please tell me more about the differences in papers/assignments between biomed and health sci? Like how the essays, assignments and papers work and what the papers are based on (like what precisely in physics, etc). Hi! 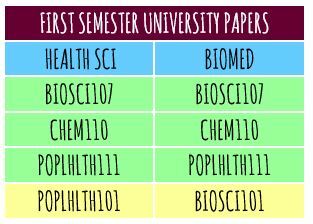 Both healthsci and biomed take the same four cores: BIOSCI107, CHEM110, POPLHLTH111 & MEDSCI142. Biomed non-cores are BIOSCI101 (evolution, genetics, cells, basic biochemistry), BIOSCI106 (proteins, biochemistry) & PHYS160 (mechanics, waves, electricity, medical physics). Biomed has no essays/assignments really. They are mostly assessed from labs, a mid-sem test and end-of-sem exam per paper. From what I’ve heard, healthsci non-cores have 2-3 essays/assignments per paper, and rather than labs, have tutorials. Hope that helps! Hi, that help a lot! 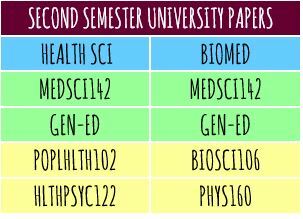 Could you please tell me the breakdown of the four core courses like you did for the bio-med non cores please? Im currently year 12, and am looking into pharmacy or optometry, I looked at the papers for both Health Science and Biomed and saw that there was a physics paper in Biomed, I haven’t taken physics and can’t pick it up next year, so how hard is the paper and would I be able to understand the work I need to do? Also If i do decide that I want to do optompetry but dont get into biomed and take health science would I still be able to get into the program? Hey! Im currently in year 12, and am looking to do either Pharmacy or Optometry, so I’ll need to take Health Science or Biomed. The problem I have is that I didn’t take physics this year and can’t pick it up next year so I was wondering if the PHYS160 paper is hard and if i’d be able to pick it up even though I didn’t take physics? Also, if I am unable to get into Biomed and take health science but then decided I would like to do optometry, would I be able to get in? Is it an approved course to get in to optometry? Hey! In the application process you can only choose one programme? How do you apply for both health science and biomed? When you apply, you can apply for up to six different programmes. Apply for the BHSc and the BSc with a major in Biomedical Science. Then when you receive an offer (once you have completed year 13) you choose which one you would like to go into. I’m currently deciding on which biology externals I will be sitting at the end of the year. I was wondering which exams out of the three would you recommend and which one helped you the most now. 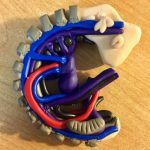 Just wanted to say hi:) I thought this was an awesome blog and I look forward to seeing more of your tips and snips!! Hi, thank you! Looking forward to writing more!!! Omg, I bet you got the highest mark possible for your clay baby. Was it hard to make? People say you have to get it super perfect to get the best mark. How’d you find it? Rumour has it that it’s an intense lab, but it really isn’t! I found it to be the most enjoyable lab so far 🙂 You are marked on if the structures of your embryo are present and in the right places, not so much on how perfect it looks so don’t worry!